Help Protect Paradise this weekend! Keep Lee Co. Beautiful Beach Cleanup. The event was a Lee County wide event focusing on cleaning the beaches of trash, fishing line, plastics and more. 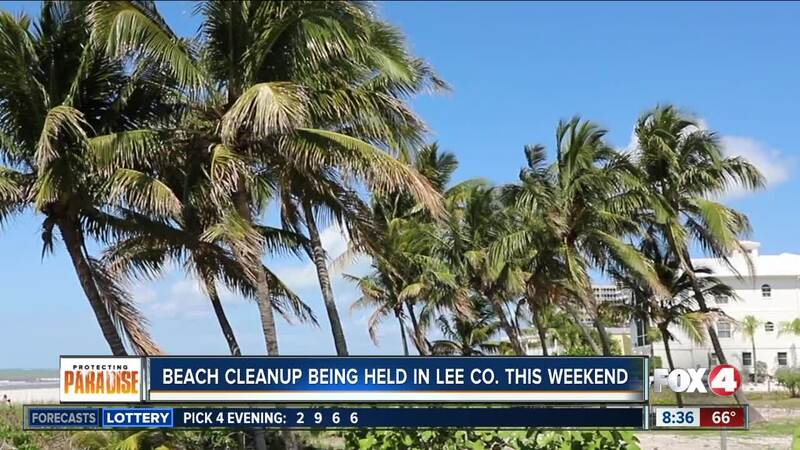 Join Fox 4 and Keep Lee County Beautiful for the Great American Cleanup this Saturday! All are invited to join in and help clean up sites all around Southwest Florida on Saturday, April 13, 2019 from 8 a.m. until 11 a.m. This year will be KLCB's 21st anniversary for hosting this county-wide event. To register and view a complete list of event locations, visit http://www.klcb.org/great-american-cleanup.html .